I'm an American, and all of the people I know who are into cricket are immigrants. 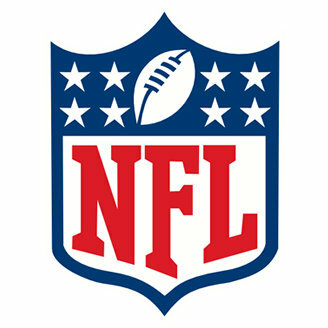 I would let them tell you all about the sport, but they're not the ones writing for AP, so I'll do what I can. Basically, cricket is a sport that involves gloves and bats that isn't baseball. 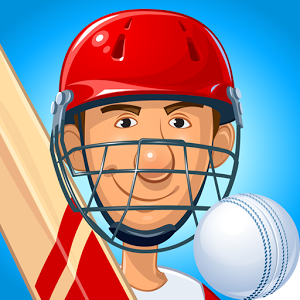 Okay, now that we've gone over the basics, let's talk about Stick Cricket 2, the latest release in a very popular series of sports titles. This year ESPN is letting Cricket fans stream the entire ICC Cricket World Cup over the Internet, as long as they're willing to pay $100 for the content. 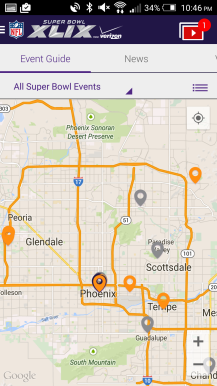 As part of the package, users will get to use their mobile devices. 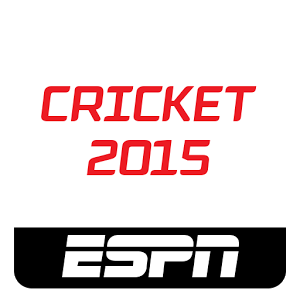 So the network has released its Cricket 2015 app into the Play Store, shortly before games begin on the 14th. 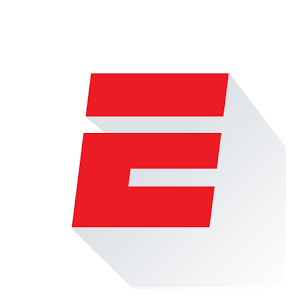 The app provides access to all 49 live matches and follows the teams from Afghanistan, Australia, Bangladesh, England, India, Ireland, New Zealand, Pakistan, Scotland, South Africa, Sri Lanka, United Arab Emirates West Indies, and Zimbabwe. I gather basketball is the next big sports thing in the US now that the Superbowl is over. 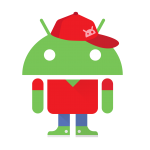 Well, Google is getting excited with an update to the Androidify app. 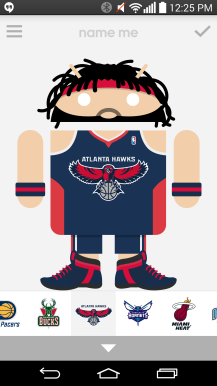 In the new v3.0 app, you've got the option of equipping your Android character with the garb of your favorite team. 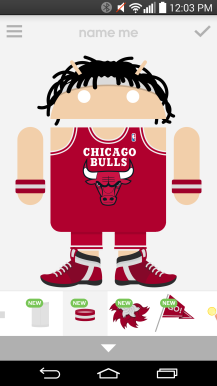 That's in addition to a bunch of new items and looks, many of which go nicely with your basketball-themed bugdroid. 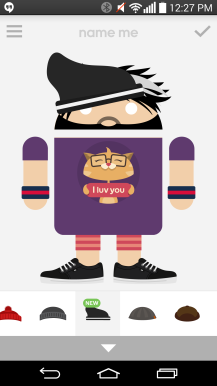 The Androidify app is good enough to label everything that's new. 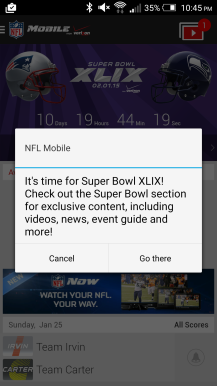 DISH broadcasts TV channels to well over ten million customers, and as it turns out, a good number of them have installed the company's Android app. The software, known as DISH Anywhere, has now reached over five million installs in the Play Store. While this doesn't mean that many people are using the app (since re-installs count separately), the real number probably isn't too far off. 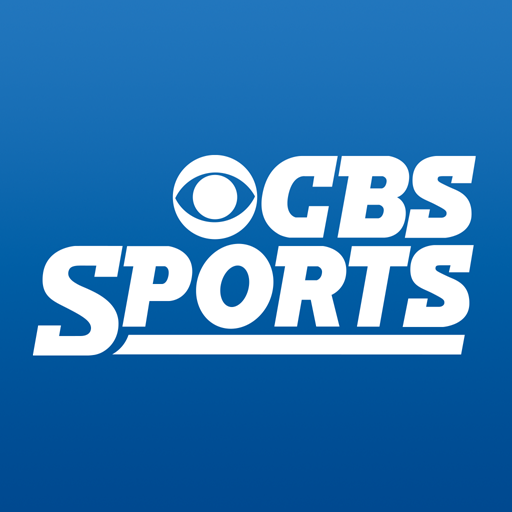 The latest version of DISH Anywhere contains a new sports section that keeps up with various leagues. 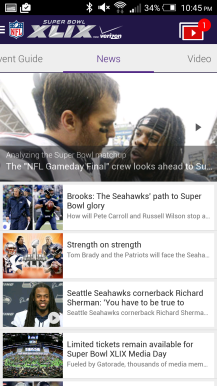 Another year, another companion app to another installment in an annual sports series. This time we're taking a look at NBA 2K15. No, it's not 2015 yet, but this is a sports thing. As in this will presumably be what you're using throughout most of next year, since it's coming out at the end of this one. I know most of you are rolling your eyes right now, but there is surely one person reading this who was confused, and I'm looking them straight in the eyes right now.